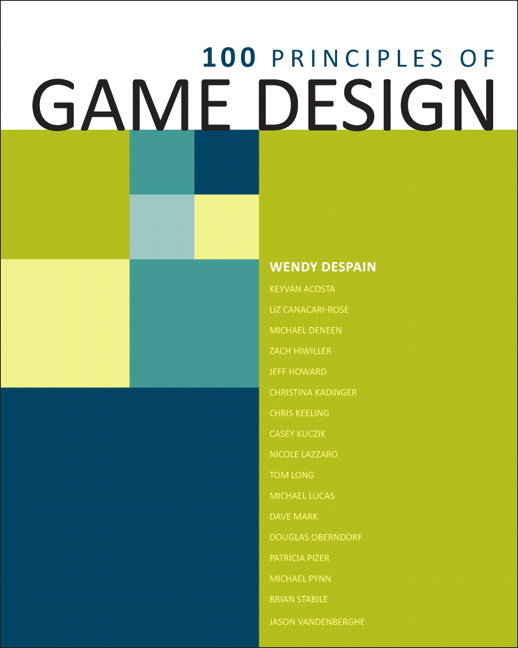 Written by a team of instructors at a top games school in the U.S., Game Design Principles is the first one-stop reference book for seasoned designers or beginning design students to turn to when the going gets tough, or any time they need a little inspiration to solve a problem. These universal, general design principles are gleaned from fields as disparate as architecture, neuroscience, and marketing, and brought together and presented in ways game designers can apply directly to games. The book focuses on finite, individual principles rather than broader ideas and approaches. Richly designed with infographics, illustrations, and schematics, each principle is easy to understand and memorable. Game Design Principles is specifically designed to itemize, describe, and explain the principles behind the process of designing video games.